1. Make your Car AUX audio sytem and Home Theater AV HiFi Surrounding system become bluetooth compatible, get music from Bluetooth enable device such as iPhone, iPad, iPod, HTC Samsung Smart cellphone or Bluetooth PC, Laptop. 3. Whether you want Bluetooth convenience in your car, through your home-theater system, in your kitchen, bathroom, or bedroom, etc. 4. Simple operation, 3.5mm Male to Male Audio Connector or 3.5mm Male to Male Audio Cable to connect the speakers and the receiver. 5. High-performance AMP chip, can push the headset, and high-power speaker, applicable to all types of speakers. 6. Powerful bluetooth IC, More stronger compatibility. 7. Powered by built-in rechargeable li-ion battery via mini USB port, long working time and low consumption. (Mini USB cable included). 9. Sleep mode for energy saving. 10. High-performance, support A2DP V1.2 stereo profile. All bluetooth enabled devices: Smartphone and laptops like iPhone, iPad, iPad Mini, iPod, Samsung, Sony, HTC, Blackberry and docks & speakers like Bose, Roberts, JBL, Samsung, Pure, Sony, Phillips, B&W, Klipsch, etc. iPhone 3G, 3GS, 4, 4s, 5, 5c and 5s, 6, 6 Plus, 6s, 6s Plus, 7, 7 Plus. iPad 1, 2, 3, 4, Air, Mini 1 and 2. Samsung, HTC, etc, all other Android 2.1 (and above) devices with Bluetooth. (2). Connect the other end to the USB input of your PC, laptop or USB power converter, The music receiver’s LED light will glow red during charging. (3). When charging is finished, the red LED will turn off. A full charge will provide up to 8 hours of play time. (1). Default your phone using Bluetooth microphone, telephone access to the speakerphone comes MIC. (2). Phone calls, you can press the key (button1) to open to answer a voice call. (3). After the completion of the call, the phone cuts into the state before automatically. (4). Disconnect after one minute, the Bluetooth device will shut down. 1 x Bluetooth Music Receiver. 1 x Micro USB Power Cable. 1 x 3.5mm Audio Connector. Why pay more when you can pay less? That’s our motto. And let’s face it, everyone loves to find a bargain. It’s human nature. 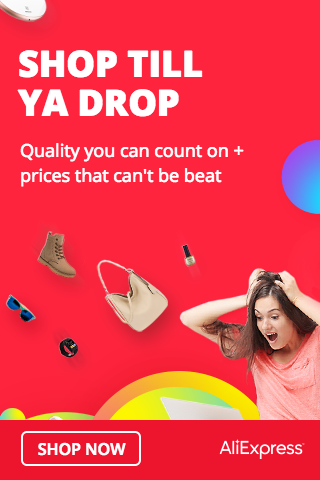 So, in response to human nature, Buy offers not only “The Lowest Prices on Earth” backed by our Low Price Guarantee on millions of new and cool products, but also some of the hottest deals you’ll find anywhere on items that you just can’t live without.